Property for sale consist of 104 Darcey St.with land measuring approx. 75' x 178'. The two lots that are enclosed in the fencing that faces Perry St. are not included in the sale of 104 Darcey St. Property does not go from street to street. 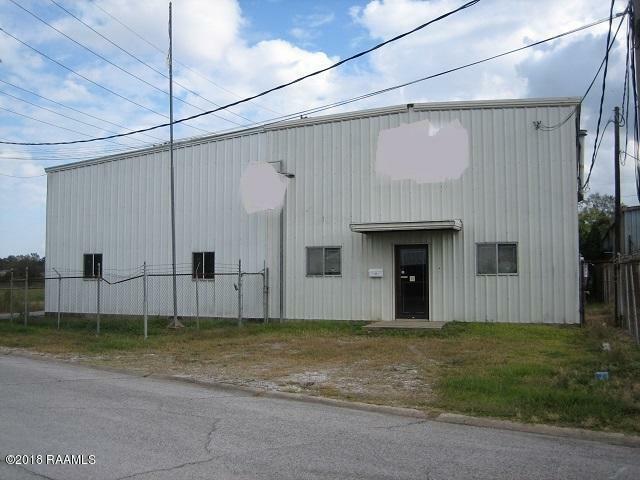 Commercial building located in the heart of New Iberia just off Main St. with easy access to Hwy 90. The shop and covered areas have 3 high roll up doors and one overhead crane. Office space with bathroom and upstairs storage and deck area. Perfect for your new business or looking to expand. This property is being sold in ''AS IS'' condition with the ''AS IS'' language to be made part of the buy/sell agreement as well as the cash sale. NO warranties expressed or implied. This is an REO property. Courtesy of Caffery Real Estate, Inc.. Listing information © 2019 REALTOR® Association of Acadiana MLS. All rights reserved.